Undergraduate college students (N = 139; M age = 20.92, SD = 2.43; 74 % female) from Asian (n = 76), Latino (n = 27) and non-Hispanic White (n = 36) backgrounds participated in an online survey about frequency of language brokering and parent–child relationship characteristics. We found that higher frequency of language brokering for mother was associated with lower levels of regard for and perceived support from mother. However, this negative relationship was explained by maternal praise. Additionally, we found that higher frequency of language brokering for father was associated with lower levels of perceived support from father and this relationship was also mediated by paternal praise. These results further suggest that parenting contexts can shape the parent–child outcomes associated with language brokering. Guske, I. (2010). Familial and institutional dependence on bilingual and bicultural go-betweens—effects on minority children. mediAzioni, 10. http://mediazioni.sitlec.unibo.it. Weisskirch, R. S. (2012). Family relationships, self-esteem, and self-efficacy among language brokering Mexican American emerging adults. 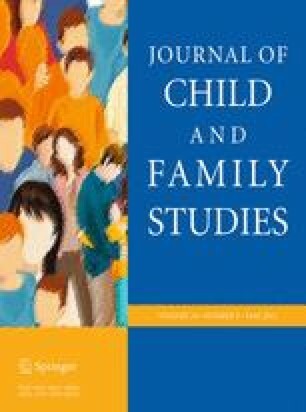 Journal of Child and Family Studies, 1–9. doi: 10.1007/s10826-012-9678-x.